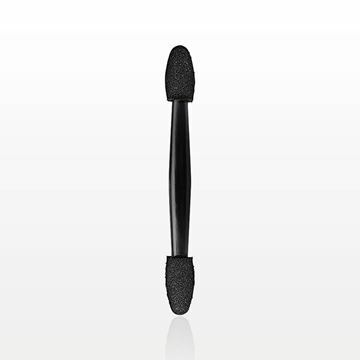 Apply and blend eye shadow with this black dual ended point tip applicator made from high-quality SBR (Styrene-Butadiene Rubber). Perfect for use in a retail setting to help maintain hygienic testing practices. This applicator can also fit nicely into an eye shadow compact. Contains Latex.